When you think about a sports sedans, the Audi A6 will usually come to mind. With a design that can be recognized from a distance and a reputation that speaks for itself, it’s easy to be caught daydreaming about the mid-size German sedan. The A6 sports the typical Audi look with the massive chrome-clad front grille, the y-shaped LED headlights and the classical yet muscular lines. Three versions of the model are available, Sporty, Technology and Luxury which will ad 19 or 20-inch wheels fitted with performance tires. For 2018, nothing changes for the A6, a model that’s well into its fourth generation and yet manages to remain fresh and up-to-date. The elegant sedan remains a strong competitor in its premium segment especially thanks to its excellent track record when it comes to safety. This reputation is due, among other things, to its numerous safety features such as blind spot monitoring, traction control, rear-view camera, and lane departure warning system. Other standard and optional features include heated front and rear seats, ventilated massaging front seats, heated steering wheel with controls, four-zone automatic climate control, power trunk lid, keyless access with push-button start, MMI infotainment system with navigation, smartphone interface and Bluetooth compatibility, 360° cameras, adaptive cruise control and much more. A flight of interior colours and material ups the levels of customization with chrome and wood accents and different coloured leather to match. Under the hood, the same 3.0-litre supercharged V6 engine is offered, rated at 340 horsepower and 325 lb-ft of torque, equipped with an eight-speed Tiptronic automatic transmission and the Quattro all-wheel-drive system. Should the performance numbers be insufficient to satisfy your craving for power, you should definitely look into the sportier S6 model. Also available in three variants, Sporty, Technology and Stealth, the S6 is the A6 in Hulk form. This variant of the luxury sedan is powered by a turbocharged, 4.0-liter V8 engine that produces a mean 450 horsepower and 406 lb-ft of torque, teamed with a seven-speed S-Tronic automatic gearbox. It can reach a top speed of 250 km/h! 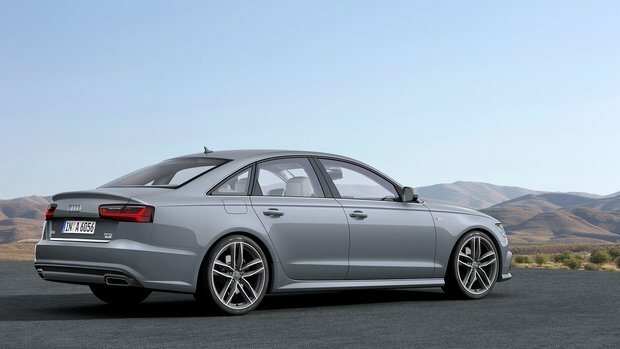 For added road attitude, the S6 also receives a set of air suspension and electromechanical steering. 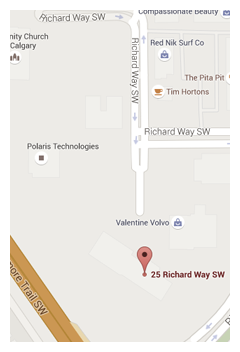 It also features different interior options with diamond-stitched seats and carbon fibre accents. The Black Optics package adds some flare to the S6 and the Aras Red Design Line covers the interior in luxurious red leather. 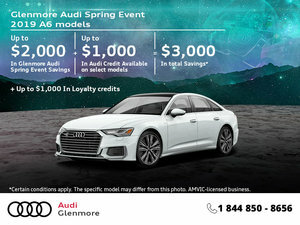 You will want to make a pit stop at Glenmore Audi to check out the 2018 Audi A6 and S6 for an incursion into the realm of premium sedans with a model that has built a reputation for sophistication and safety.